The program, currently running in four Dallas middle schools, was inspired by the Girls Scouts, an organization that's been going inside local schools for decades. Skeptics say this is just a way to grow shrinking national membership numbers. Espie Randolph, Boy Scout 0utreach director for the Circle 10 Council, which includes part of North Texas, calls it a need. "I tell kids, "This is not your comfort zone, OK? Expand your comfort zone. See what else is available out in the world.'" So on this Thursday, 11 and 12 year-olds learn how to build a fire, set up a tent, cook outdoors. They’re preparing for a camp out. Many of these kids in this Pleasant Grove school are from low-income families, and might not get a chance to go camping. But thanks to this effort, they go. 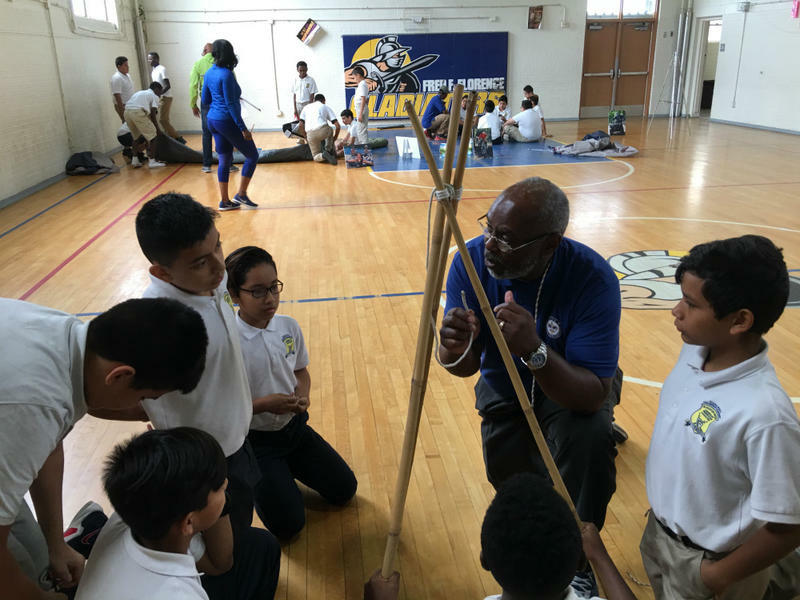 The day’s instructor, David Payne, with the Boy Scouts organization, says the students also learn values of building solid friendships and being good team members. Sixth-grader Noel Peña is a fan. Fifteen miles away, students at Solar Prep are also getting some scouting lessons — from the Girl Scouts. In Dallas ISD’s newest all-girls school for science, technology and the arts, every student is a Girl Scout. Girl Scouts have been going into schools for 30 years. But what’s different about Solar Prep? The scout organization has taught the teachers to incorporate the Girl Scout curriculum into Friday lessons. Lucia Montemayor, 8, loves Fridays. “I love Girl Scouts because you get to have all these Girl Scout sisters with you and they’re here with you like, like they’re there for you. They have your back,” Lucia says. At Solar Prep, every girl is a scout. And every Friday is Girl Scouts Friday. Principal Nancy Bernardino helped build Solar Prep from scratch and decided that including Girl Scouts was a must. How confident? Meet third-grader Elisha Martinez. Women like Joan Jett, Frida Kahlo, Serena and Venus Williams inspire Solar Prep kids to think bigger. That’s also part of the Girl Scout mission. "What Girl Scouts has really been about all this time is leadership development." Jennifer Bartkowski, CEO of Girl Scouts of Northeast Texas, says it’s why her organization’s been in schools for three decades. Bartkowski says when the Boy Scouts asked for help to set up its own Scouts in Schools program, she didn’t hesitate. Back at Solar Prep, we walk into Bethany Seagroves' Talented and Gifted class. On this Friday, though, she’s teaching the Girl Scout curriculum. “Here at Solar, everything is about empowering girls. Like today, we went and talked about rebel women and how all these women had positive stories, and so it’s teaching them that they can do the same things as well," Seagroves says. She says the big difference between regular class and Scout class is scouts take action. This day's theme is water. 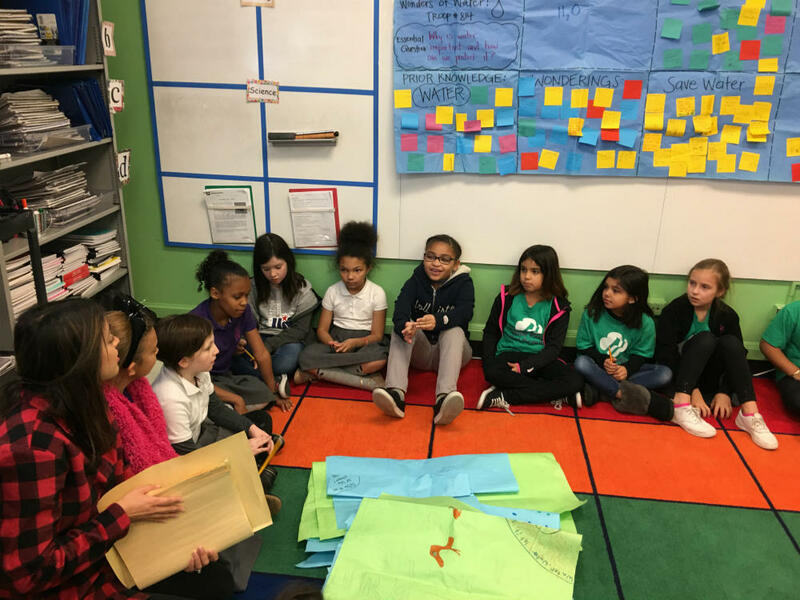 “They’re not just learning the water cycle and the benefits of recycling, they’re learning to go out actually into the community and make a difference,” she says. Which is why leaders at Solar Prep and the Young Men’s Leadership Academy hope their students create projects that benefit their neighborhoods, so they can earn scouting’s top honors: the Gold Award and Eagle Scout.